4Paws will be four years old in June, in that time we have cared for hundreds of precious pets. We have provided care for dogs, cats, rabbits, guinea pigs, hamsters and the odd hen! If you need any advice on handling and care, please ask away! Alternitively, you can contact us via Facebook Messenger. Please be aware we have two seperate Facebook pages; one for Dog Training, the other for Pet Minding. The Data Protection Act will soon be replaced by the above regulations on 25 May 2018.  In light of these changes, 4Paws Dog Walking Petminding or Dog Training is required to provide details of how we store and process your information. When you complete the enquiry form your data will be sent to our secure email system for action and will be stored on our secure wordpress website. If you prefer not to send an enquiry via the website, you can contact us via phone, text or Facebook. 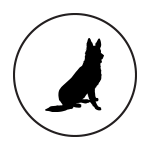 If we provide services to you, we complete physical client forms which are stored in 4Paws’ private office. This information will be confidential unless required for the dog walkers/ petminders providing the service. Your walker/petminder will receive a booking form via email with all relevant details and they may hold your contact number on their smartphone. House keys do not have addresses on the fobs. If you require more specific information, please contact your walker/petminder. If you are no longer a client, you can request that your form/info be deleted. Please click on the related service below and complete the form.